Economy measures: GlaxoSmithKline headquarters at Brentford, Middlesex in the UK. A spokesperson for GSK India said the decision to cut jobs elsewhere and to move work to India was not connected. Mumbai: Indian subsidiaries of drug companies Pfizer Inc. and GlaxoSmithKline Plc. 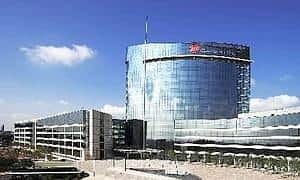 (GSK) could benefit from the decisions of the parent companies to shut down some manufacturing and research facilities in the US and Europe, and cut jobs in some overseas locations on the back of lower sales and the failure of key products. The Indian firms Pfizer Ltd and GSK India Ltd have been operating in the country for several decades. A person familiar with the development at GSK and who didn’t want to be identified said the parent company is weighing options to shift a few more projects, mainly in the areas of clinical research , data management, vaccines manufacturing and bulk drug production, to India in the wake of its global decisions. GSK India currently conducts clinical trials for the parent company and the revenue from this business has been around Rs30 crore in the first 10 months of this year. In October, GSK announced that it would cut jobs, mainly in the US, over the next three years to save as much as $1.4 billion (Rs5,516 crore) annually, as it attempts to counter a slowdown in sales in global markets. Though the company has not spelt out how many jobs will be cut, the maximum impact is expected to be in the sales and manufacturing functions. A spokesperson for GSK India said the decision would not impact the Indian firm as the parent is committed to India where currently it has 3,500 employees. “Our business in India is very successful and therefore we have no plans to make any major changes," he added. The spokesperson said the decision to cut jobs elsewhere and to move work to India was not connected. “GSK is a global company and investment decisions are made based on a number of criteria—not just cost. We weigh many factors in making investment decisions—talent pool, science base, quality of potential partners, infrastructure, tax, etc., size of market, market access, policy environment including intellectual property rights and pricing," he wrote in an email. Earlier this year, Pfizer Inc. had also announced similar cost-cutting measures. The company is in the process of reducing its staff by almost 10,000 or 10% of its global workforce in a bid to save $1billion by the end of 2008. It also plans to reduce the number of locations where it manufactures from 93 to 48 by the end of 2008. The plan includes the closure of five R&D sites and the relocation of some projects. “Since the intellectual property issues are a concern in India, there is still no clarity about new investments by the parent company here. However, there could be more works coming to India in the clinical research services," said Kewal Handa, managing director, Pfizer India, on the sidelines of a pharma event in Mumbai last week. Pfizer was one of the first pharmaceutical companies to establish a dedicated clinical research division in India. About two-thirds of this division’s clinical research portfolio relates to human studies executed on behalf of Pfizer Global Research & Development teams.